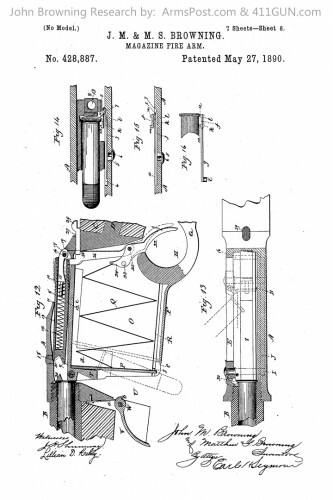 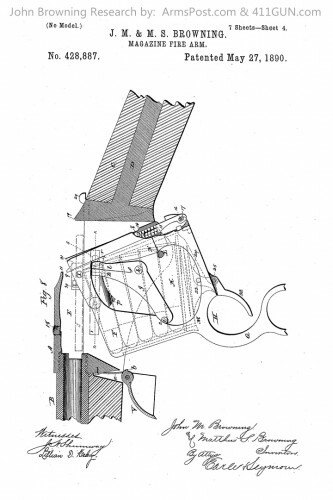 John Moses Browning was granted US Patent 428887 back on May 27th, 1890. 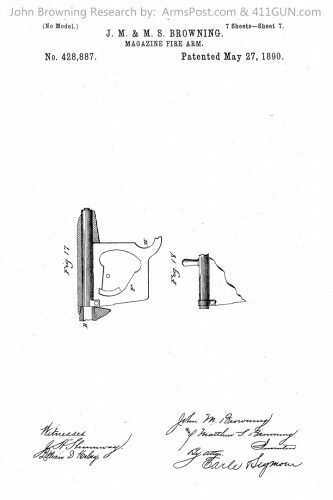 He had applied for this patent on November 18th, 1889. 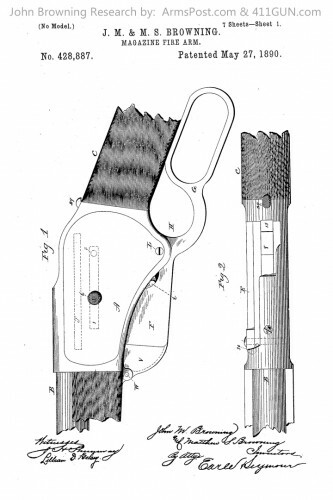 It was a very interesting lever action magazine firearm. 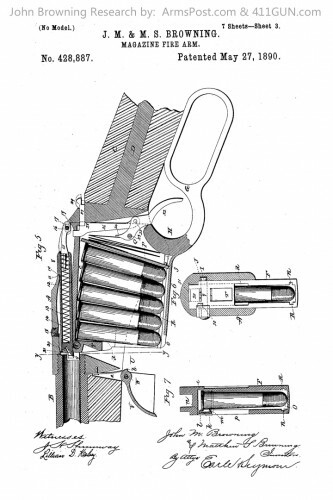 It used a spring loaded magazine and was a change from the cylinder type of magazine. 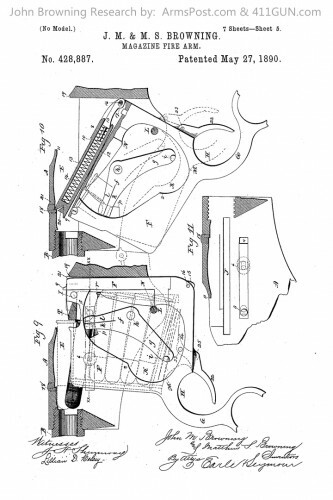 This patent design was purchased by Winchester, but would not be manufactured. 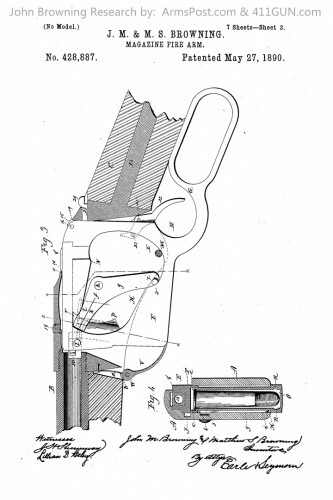 It was chambered for the 45 70.